Lately, a mysterious, midnight gardener has been at work, neatly snipping off rose buds and the tender young stems of the citrus trees outside my door and carrying them carefully away. I never see my phantom gardener, but I know it’s the work of a dusky-footed woodrat. While I lament the fate of my roses and kumquats, the woodrat is sleeping the sleep of the just, having safely stored the night's harvest of flower bud, fruit and twig in his or her larder, deep inside of a home built of twigs. 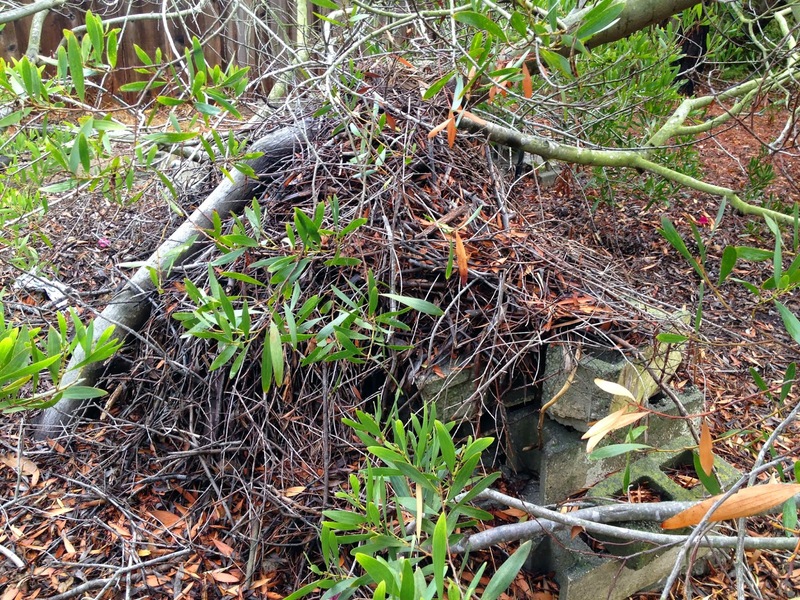 This woodrat "stickhouse" is built on an old cinderblock wall. The dusky-footed wood rat, Neotoma fuscipes, also known as a pack rat, is a California native and a regular Malibu resident. This chubby rodent has a short, fuzzy tail, and pale (rather than dusky) paws. They can be quite vocal, with an extensive vocabulary of chirps and squeaks. Unlike the unfortunate little pig whose twig house is blown away by the wicked wolf, wood rats are experts at surviving sieges. Their homes have walls so thick that they have been known to foil the excavating efforts of coyotes and even badgers. Some woodrats prefer a penthouse apartment. 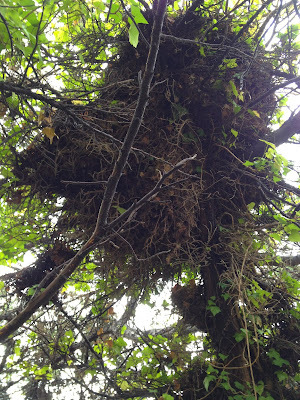 Deep inside its twig fort, the wood rat has a living room and several well-stocked pantries. Woodrats are nocturnal and prefer to lay low on all but the darkest nights. They will wait out the full moon in their burrows, emerging on moonless nights to restock their larders. 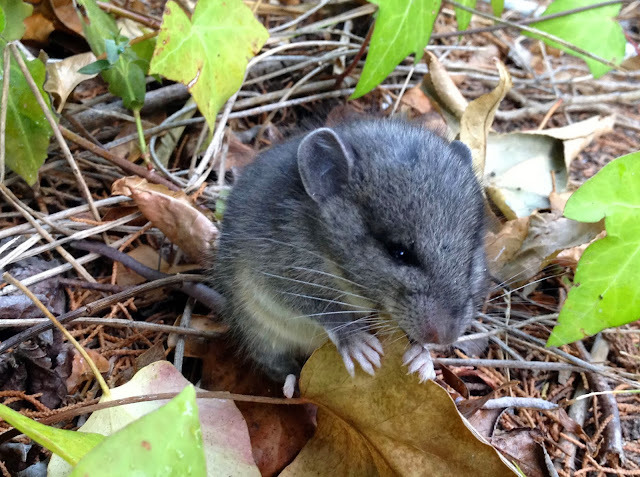 In the wild, woodrats dine on the tender young leaves and twigs of shrubs and trees, including oak, toyon, coffee berry, and even poison oak. They also like to eat mushrooms. In a more urban setting, ornamental shrubs and fruit trees are favorites. Other twigs are harvested strictly as construction materials. Woodrats in cactus country reportedly gather chola spines to fortify their houses. N. fuscipes likes a clean house and keeps living quarters clear of waste. Many stickhouses have a separate latrine, and several studies support the theory that wood rats harvest California bay laurel leaves to use as an insect and parasite repellent in their nests. A study authored by Richard Hemmes published in the Oxford Journal in 2001 concluded that there was significant evidence to support the contention that evidence that "dusky-footed wood rats place bay foliage around the sleeping nest with the effect of reducing their exposure to nest-borne ectoparasites. Just like their human neighbors, wood rats like to collect shiny, pretty things. Most collections consist of things like pebbles and bottle caps, but there are reports of woodrats with stashes of everything from silver teaspoons to diamond rings. Although wood rats often form colonies, and some wood rats will tolerate squatters—including mice, individuals appear to value their privacy. Each animal lives alone in its own apartment, except during breeding season. Stickhouses are often passed from one generation to the next sometimes for hundreds of generations. Humans aren't the only species on the planet who value the concept of home as castle. 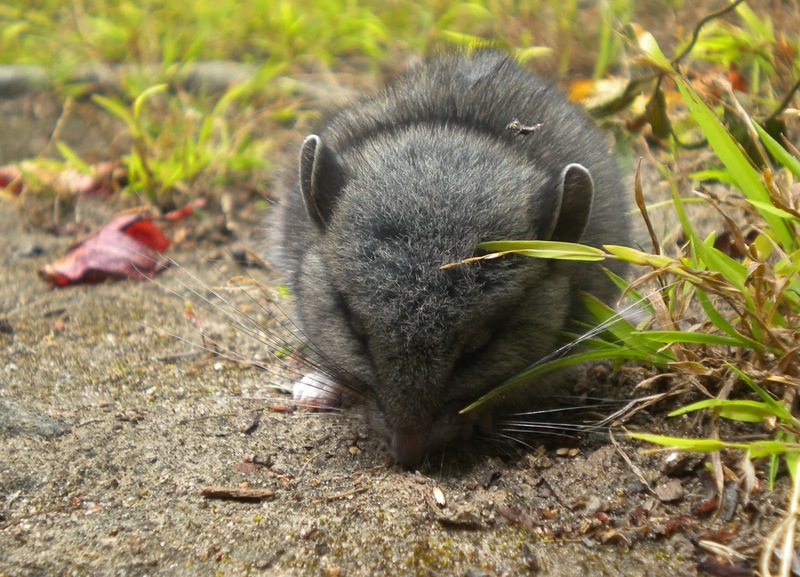 The dusty-footed woodrat is a true California native and an important part of the local ecology. Life is tough for this little animal—it's on the menu for coyotes, bob cats, badgers, weasels, and especially owls. It's also a frequent victim of rodenticide poisoning, despite the fact it doesn't pose a threat to humans. If a wood rat takes up residence in an attic or other place where large piles of twigs are unwelcome, excluding the animal by sealing up any access points usually works to discourage it from returning. If not, snap traps are effective and more humane than poison for the wood rat and the animals that depend on it for food. Great article! 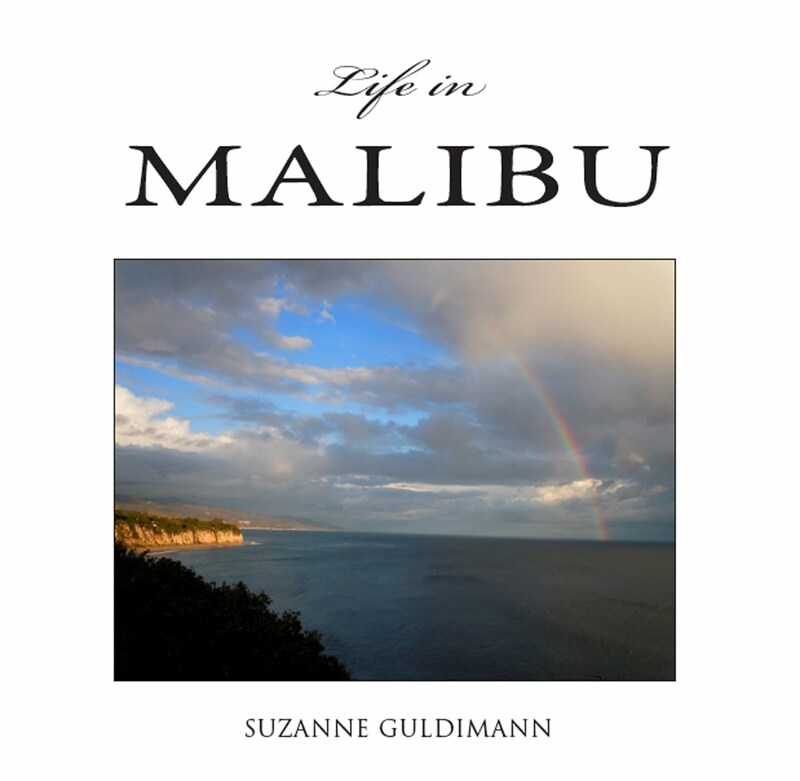 Looks like we humans in Malibu share a lot of behavioral and physical traits to our cousins the little woodrat. Cute pictures! Thanks Suzanne, I enjoyed your story about our woodrats. Next we have to come up with a better name for the little creatures. Much success with the new blog. I am loving this story. And your photos are wonderful...sharp images of a surprising visitor.